Sophie Bilsland was waiting at the bus stop with her daughter Mila. 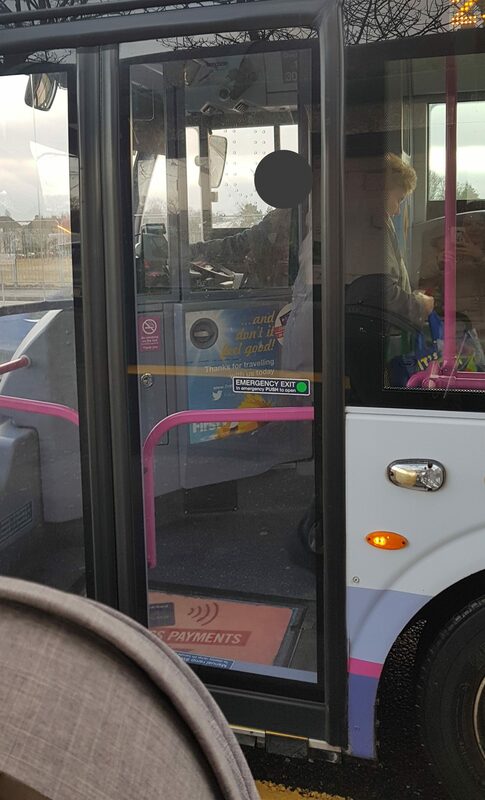 A new Aberdeen mum says she was “screamed at” then left in the cold by an irate bus driver for refusing to fold up her buggy. Sophie Bilsland was left shocked and upset by the altercation with the First Aberdeen employee as she made her way home from a shopping trip. The nursery assistant had been waiting for a bus to take her from the Lang Stracht into town on Monday afternoon. 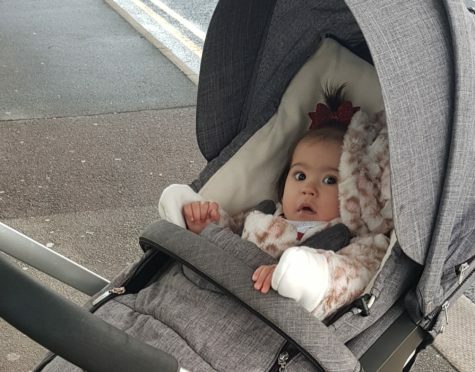 But when it arrived, she claims the driver refused to let her on the vehicle unless she folded up her six-month-old daughter Mila’s pram, citing a lack of space because a wheelchair user was already on board. But Mrs Bilsland said the area towards the front of the bus, which usually has room for around four buggies, was empty. Mrs Bilsland snapped a picture of the bus driver as he left the stop. She said: “He yelled at me, and was putting his hand up and screaming. He said that all buggies fold, and mine does – but only in two parts. “My daughter is only six months old and I was at a loss as to where he was expecting me to put her while I did this. I wasn’t going to just hand her over to a stranger. “If there hadn’t been any space on the bus I’d have totally understood. Mrs Bilsland said she had to wait in the cold for another 10 minutes before the next bus arrived. And when it did, she noticed the digital bus ticket she had purchased had expired – meaning she had to buy a second. She has lodged a formal complaint with First Aberdeen. David Phillips, the firm’s operations director, said it is company policy that passengers must fold up buggies if a wheelchair user is on board or needs to boat. But he added: “We have reviewed the CCTV footage of the incident, and I believe common sense could have been applied on this occasion to allow the passenger to board as there was sufficient room on this particular vehicle type to house the buggy safely adjacent to the wheelchair space at the other side. “We have now launched an internal investigation into the incident and treat all incidents of this nature very seriously.